Just as Michael Noonan said it could three years ago. THE GOVERNMENT EXPECTS that the Irish economy will grow by 6.2% this year as new figures show the tax take so far this year is ahead of expectations. The exchequer returns for the first nine months of 2015 show that tax revenue for the year is 5.8% ahead of target with a total of €31.6 billion collected up to the end of last month. This is €1.74 billion ahead of what was expected. Finance Minister Noonan said today that if this continues at the same rate then tax revenue will be “north of €2 billion” more than had been expected this year. “Quite cleary these are a very strong set of figures,” Noonan told reporters at the Department of Finance today. He also revealed that the Irish Fiscal Advisory Council last night endorsed the growth rates that the Department of Finance will base the Budget 2016 announcement on. The official figures now indicate that there will be a growth rate of 6.2% this year and 4.2% next year, both well ahead of what had been forecast in last year’s Budget. 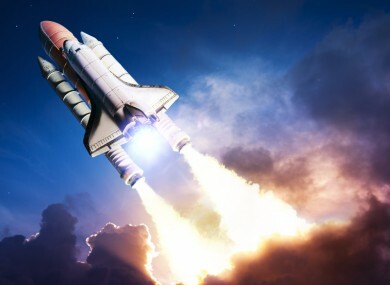 Over three years ago, Noonan predicted the economy could “take off like a rocket” if the global economy returned to growth. The economy is growing very rapidly. It goes back to the 6.2% growth for 2015. That generates a lot of extra taxes, a lot of extra income taxes from the people back at work, a lot of extra VAT from the increased purchasing through consumer sentiment, and a lot of extra corporation tax from the fact that so many companies are profitable. We would have given our right arm a few years ago for an expected growth rate of 6.2%. Despite the better than expected numbers, Noonan said the government is still operating on the basis that there will be “near €1.5 billion” in extra spending in the Budget on 13 October. This will be evenly divided between cutting personal taxes and increasing spending. When an economy is growing you shouldn’t want to be throwing paraffin on the fire. When an economy is in recession you should be stimulating it. Noonan also said he expects there to be a deficit of 2.2% this year, which is significantly better than the forecast of 2.7%. Though the figures have not been finalised he added that he expects the deficit to come in at around 1.5% next year. Email “It looks like the Irish economy is now taking off like a rocket ”. Feedback on “It looks like the Irish economy is now taking off like a rocket ”.